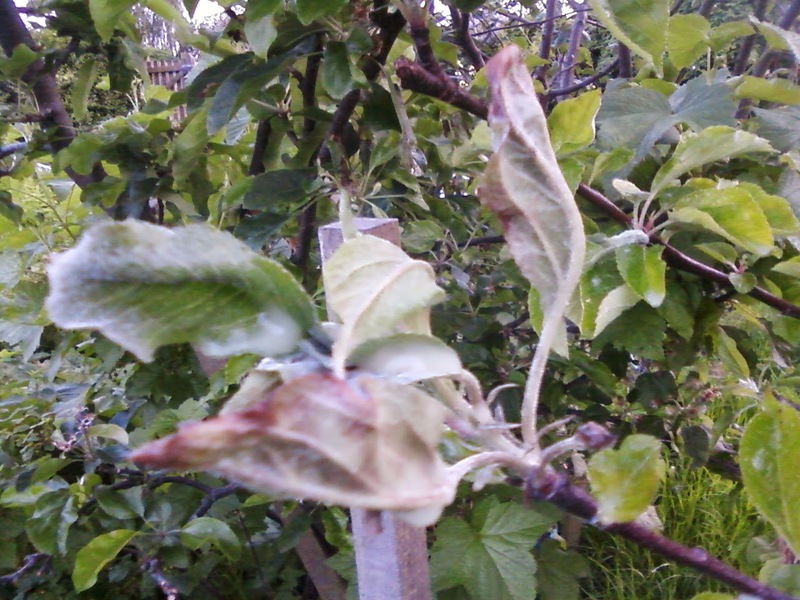 A couple of problems have occurred with one of the apple trees and one of the pear trees, the Conference one, the Comice appears to be ok. 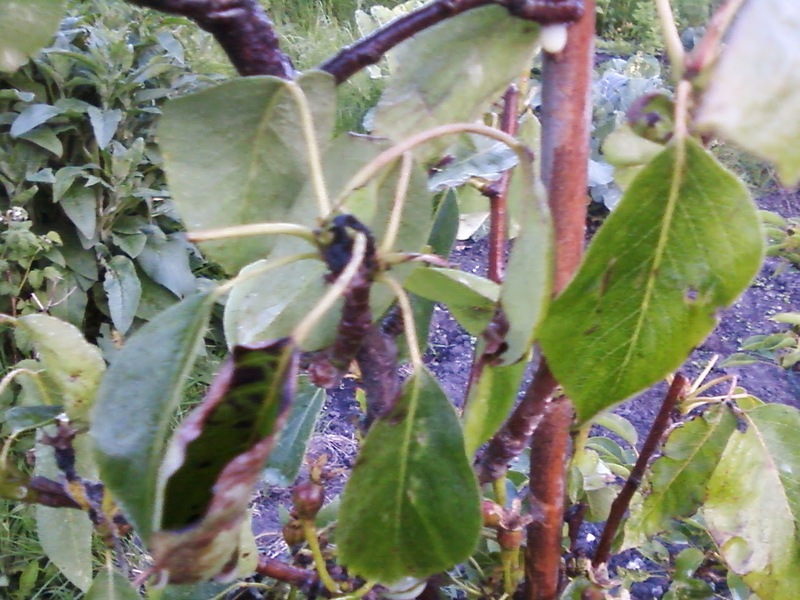 The pear has blackspot fungus, which it had last year and I thought that I had cured it. Unfortunately for the organic side of things, the only thing that is available for dealing with it is Diphane-945, but needs must. Pears always seem to look a bit droopy and unhappy even when there is nothing wrong so I want to deal with this again this year. Although I want to do everything I can organically, I am not so strict as to not use something when really needed. Anyway, both the apple and the pear got a dose of Diphane-945 the other evening - suitably late on so that there were no bees or other beneficial insects around. Another dose in a couple of weeks or so.